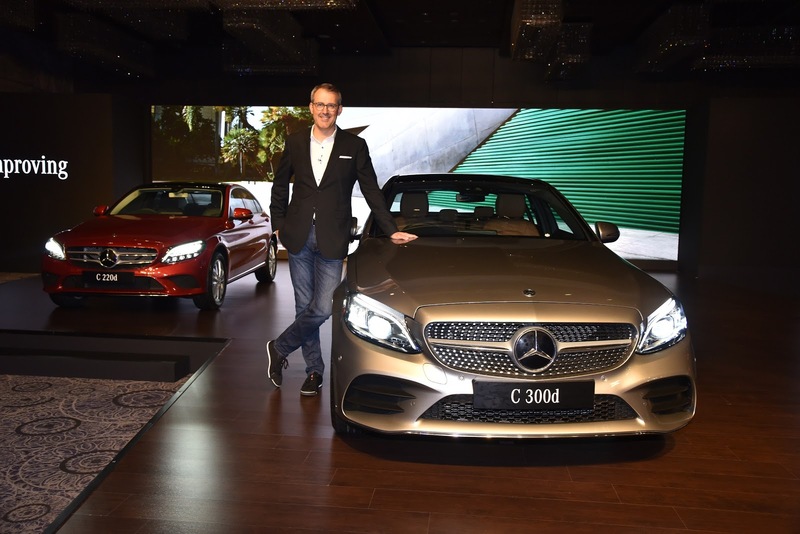 New Delhi, 20 September 2018: Mercedes-Benz has introduced the new C-Class, one of its most popular executive saloons, with the BS VI diesel engine for the first time. With over 30,500 units sold since its inception in India, the C-Class has been one of the best-selling luxury sedans in the Indian market. Now in its fifth generation, the new range comprises of the C 220 d Progressive, the C 220 d Prime, and the powerful C 300 d AMG Line. The C 220 d Prime is priced at INR 40.00 lacs, the C 220 d Progressive is for INR 44.25 lacs and the C 300 d AMG line is priced at INR 48.50 lacs (ex-showroom India). Some 6,500 components have been changed in what is the most comprehensive model update ever, for the C-Class. The four-cylinder OM 654 diesel power train mated to a 9GTRONIC transmission produces 143 kW (194 hp) power at 3800 rpm and 400 Nm of peak torque at 1600 - 2800 rpm in the C 220 d. The power output peaks at 180 kW (245 hp) at 4200 rpm in the C 300 d AMG, and it has a peak torque of 500 Nm at 1600 – 2400 rpm. While the C 220 d accelerates from 0-100 km/h in 6.9 secs., the C 300 d AMG takes just 5.9 secs. to breach the mark. The interiors of the C-Class have been significantly enhanced with a new 10.25" media display screen and new generation telematics, NGT 5.5 smartphone integration adding better appearance and connectivity in line. The AMG Line interior in the C 300d exudes a more visible and tangible sense of sportiness, while the expressive body styling of AMG lends the exterior of the C-Class an unmissable sporty character. The AMG Line interior in this variant will be available in Saddle Brown and Black upholstery options. The new C-Class also comes with a new body colour option - Mojave Silver.